The National Bank of Ukraine at 1400 on Friday set the hryvnia exchange rate at UAH 27.8585 to the dollar, or 51 kopiykas lower than the last historic low rate of UAH 27.3580 set by the NBU on Thursday, according to the official Web site of the National Bank of Ukraine. Since the beginning of the year the hryvnia’s official rate has fallen against the dollar by more than 1.8 times, or by UAH 12.09. As a result of the indicative auction held by the NBU on Friday, the hryvnia equilibrium exchange rate as of 1430 was set at UAH 28.1311 to the dollar. Some quotes for the hryvnia against the dollar on the interbank market, taking into account commission payments, reached UAH 29.20/28.45 to the dollar. As UNIAN reported earlier, in 2014, the National Bank of Ukraine moved to flexible exchange rate formation on the foreign exchange market, which resulted in the hryvnia practically halving in value against the dollar. In late 2014, the NBU shifted to a symbiosis of market and administrative rate regulation, setting an indicative rate for the market through daily auctions in the interbank foreign exchange market using small quantities of its reserves. As reported earlier, on February 5 the National Bank of Ukraine gave up conducting daily auctions in the currency market due to the loss of their effectiveness and the revitalization of the black currency market. After the cancellation of the daily auctions the hryvnia’s official rate fell against the dollar by more than 1.5 times over a few days. On February 12, the Ukrainian government approved a memorandum of cooperation with the International Monetary Fund on a medium-term program of financial assistance for Ukraine, designed for four years, under the Enhanced Extended Fund Facility (EFF) and worth a total of $17.5 billion. The new program will replace the current two-year Stand-by program. A final decision on the new program has to be taken by the IMF Board of Directors within the next four weeks. The foreign exchange market has not yet seen a rebound since the positive news about Ukraine’s new program with the IMF broke last Thursday. 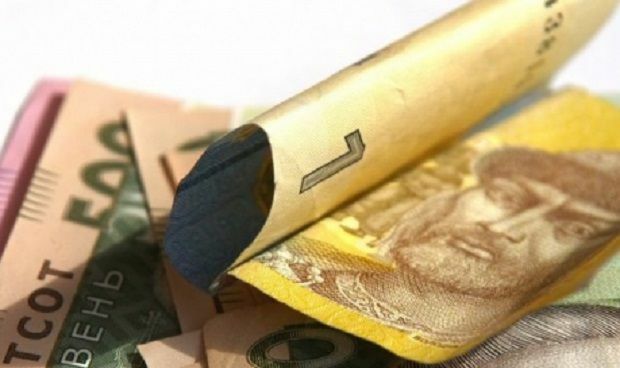 According to experts, a reduction in the tensions in the east of Ukraine is necessary to stabilize the hryvnia exchange rate in addition to the renewal of funding from the IMF and other sources.